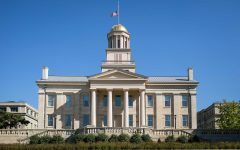 Protesters called for the firing of UI lecturer Jeffrey Nock on Thursday, who was accused of harassment in the spring, but is still employed by the university. 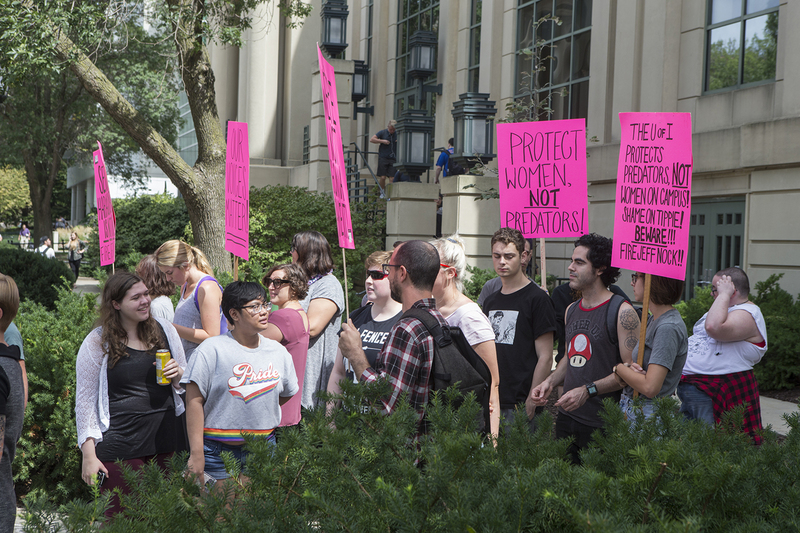 Protestors gather during the Jeffery Nock Protest outside of the Tippie College of Business on Aug. 30, 2018. Students and faculty turned out to protest Professor Jeffery B. Nocks, who is still employed at the university despite charges of taking photographs of women at the Campus Recreation and Wellness Center. (Katie Goodale/ The Daily Iowan). 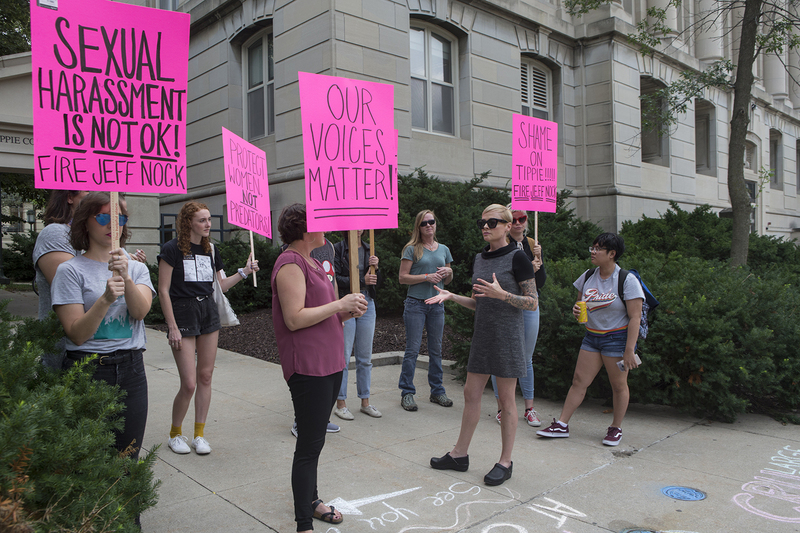 A group of men and women were clustered together, some holding neon pink signs, outside of the Tippie College of Business on Aug. 30 to protest one University of Iowa instructor who has been accused of sexual harassment. “WE’RE NOT GONNA TAKE IT! !” read one sign. “SEXUAL HARASSMENT IS NOT OK!” said another. The protest, organized by Liana Reimer, called attention toward UI lecturer Jeffrey Nock, who was accused of harassment this past spring. 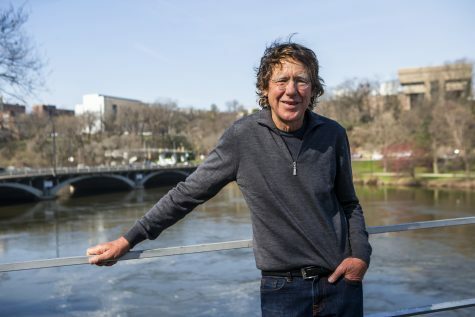 Law-enforcement officials and witnesses at the Campus Recreation and Wellness Center reported that Nock was taking photographs of women while they exercised; he was subsequently issued criminal trespassing and harassment warnings in April, according to an incident report. A harassment warning does not carry a legal consequence until it is violated, which can lead to harassment or other criminal charges. Liana Reimer, organizer of this event, addresses protestors during the Jeffery Nock Protest outside of the Tippie College of Business on Aug. 30, 2018. Students and faculty turned out to protest Professor Jeffery B. Nocks, who is still employed at the university despite charges of taking photographs of women at the Campus Recreation and Wellness Center. (Katie Goodale/ The Daily Iowan). 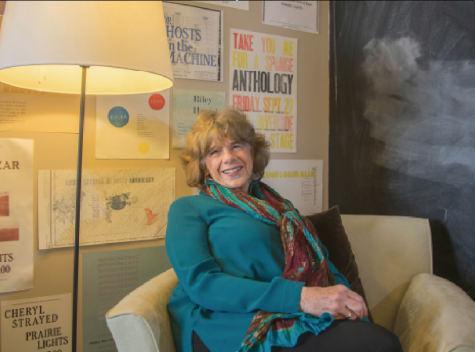 Nock began teaching at the UI as an adjunct lecturer in 2012, and was named an official lecturer in 2014. Nock was also president and CEO of Goodwill of the Heartland from 2008-2012, but resigned due to a personnel issue. 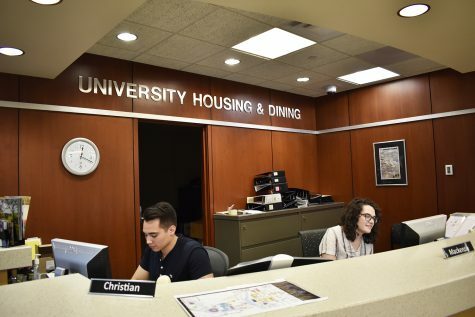 Reimer said she decided to spearhead protests against Nock due to her own interactions with him at the Rec Center and after hearing a multitude of stories from friends and students on campus. 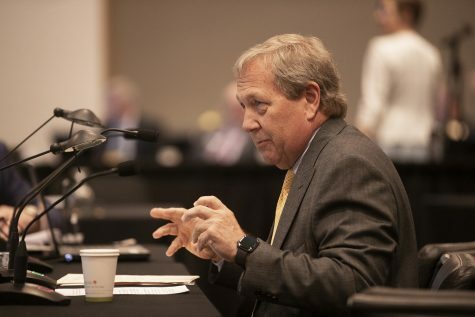 While Nock is banned from recreation centers until October, his contract to continue lecturing at the UI was renewed two weeks after charges were filed against him. Nock was allowed to teach summer courses and lead a program helping students to launch their own businesses. He is not teaching during the fall semester. 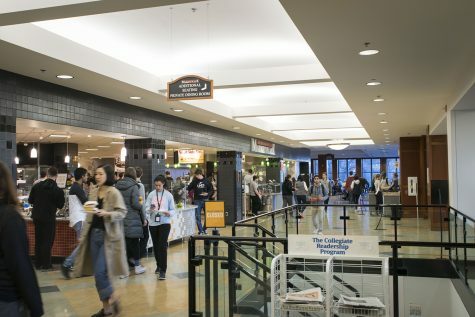 “I think it’s just really ridiculous that not only is the university not firing perpetrators, which is inherently abhorrent, but on top of that, students are going to be distracted from their education because there are perpetrators teaching,” said Elena Greene, a UI student and advocate against sexual violence. 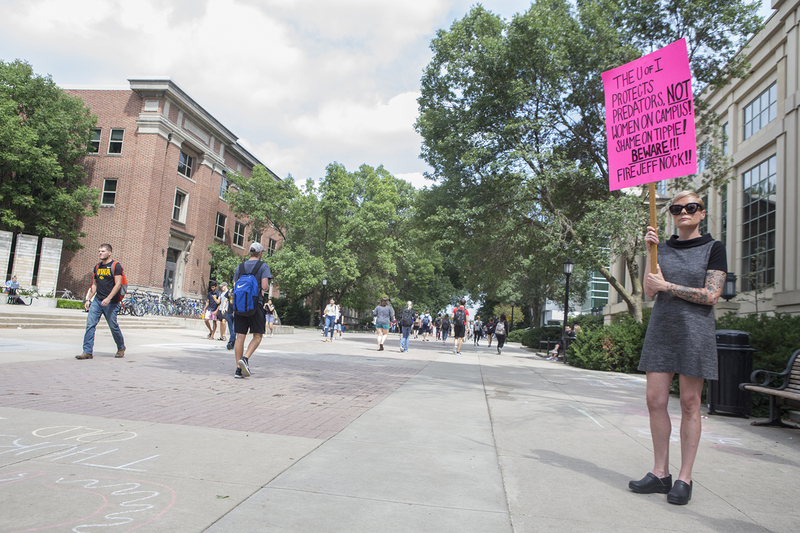 Reimer began to protest Nock’s employment over the summer, making sure to be visible during Orientation and campus tours. 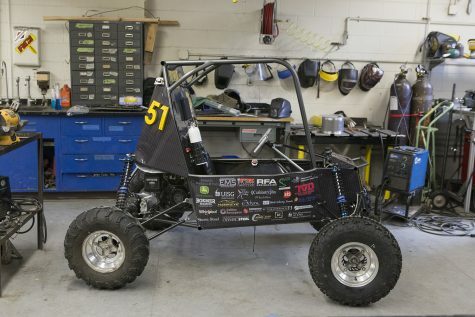 She first went outside of Tippie, but the tours were “immediately rerouted,” she noted. “I really wanted parents and students to see my sign and question whether or not they wanted their son or daughter to attend a school that would employ a serial sexual harasser,” Reimer said. Reimer then moved to the IMU, where she was told by a building manager that if she entered the building, it would be considered trespassing. Liana Reimer, protest organizer and employee at the UI hospital, stands with her sign during the Jeffery Nock Protest outside of the Tippie College of Business on Aug. 30, 2018. Students and faculty turned out to protest Professor Jeffery B. Nocks, who is still employed at the university despite charges of taking photographs of women at the Campus Recreation and Wellness Center. Reimer states that she organized the event in order to hold the university accountable. 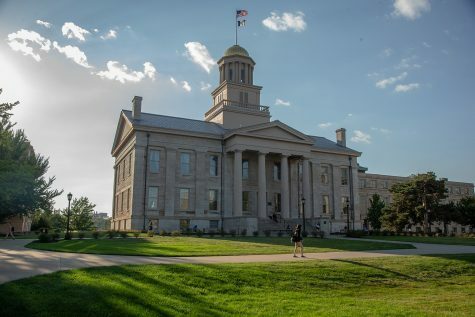 (Katie Goodale/ The Daily Iowan). The main goal of the protests, Reimer said, is to get more attention on the case. She said she believes the UI would have ignored the case if the media and students had not been informed. Reimer said she also wants to know why Nock has been allowed to continue lecturing within Tippie, and is seeking answers from the university. 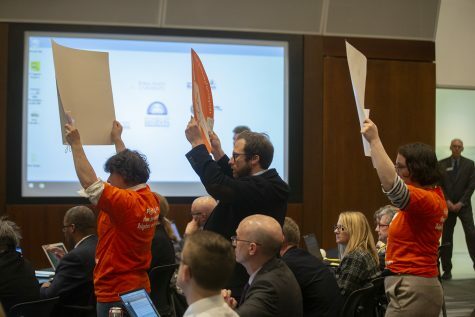 Those involved with the protests, both current and future, hope to get answers as to the ongoing legal proceedings, as well as to increase engagement with the case on campus. The DI previously reported that the police investigation into Nock’s conduct was not active, but could become active again should he violate the harassment warning.